John Spencer was born on 19 December 1734. He was the son of John Spencer, a landowner, and his wife Lady Georgiana Caroline Carter, and had a younger sister, Diana. Due to his poor health, John wasn’t expected to survive infancy, so his parents decided to hire tutors to educate him at home. But he survived and in 1746, when his father died of alcoholism, he succeeded to his vast estate. At only 11, John was in possession of a vast fortune worth £750,000 (about £45 million in today’s money), 5 houses, 100,000 acres of land in 27 counties and a vast collection of jewels, plates and paintings. His wealth further increased when he inherited the bulk of the property that belonged to his grandmother Sarah Churchill, duchess of Marlborough. But there was a catch: John would lose his right to the inheritance if he accepted any office or pension from the crown. However, he was too young to manage his fortune on his own and so trustees were appointed until he came of age. In the meantime, he decided to go on a grand tour of France and Italy, from which he returned with a huge passion for art and architecture. On 20 December 1755, John Spencer married Margaret Georgiana Poyntz in a private ceremony at Althorp, the family’s residence in Northamptonshire. The family had given a ball at the estate and, while the guests were busy dancing, only those who knew about the engagement were led upstairs to attend the ceremony. The marriage was publicly announced at Christmas and in the new year, John took his wife to court where they were presented to the King and Queen and became friends with the royal family. The marriage was a love match. John, which was a handsome man, and Georgiana had met the year before and they had fallen in love straight away. The Spencers had a happy marriage and years later, Georgiana would tell David Garrick: “I verily believe we have neither of us for one instant repented our lot from that time to this”. The couple had 5 children: Georgiana, who would marry the Duke of Devonshire, George John, Henrietta Francis, and two younger daughters, Charlotte and Louisa, both of whom died in infancy. Although he was a man of an amiable and generous disposition, he would sometimes burst in fits of anger, due to his ill-health, which nonetheless scared his children. He also had a shy and withdrawn temper when in public. Mary Lady Coke heard him speak in Parliament and thought “as much as could be heard was very pretty, but he was extremely frightened and spoke low”. However, he opened up and became more loquacious when alone with his family and close friends. Although Spencer, who belonged to the Whig party, could not embark on a political career, he could still influence politics thanks to his wealth and sit in Parliament. In 1756 he entered the House of Commons as MP for Warwick. On 3 April 1761, the King George III created him Baron Spencer of Althorp and Viscount Spencer and, four years later, Viscount Althorp and Earl Spencer. 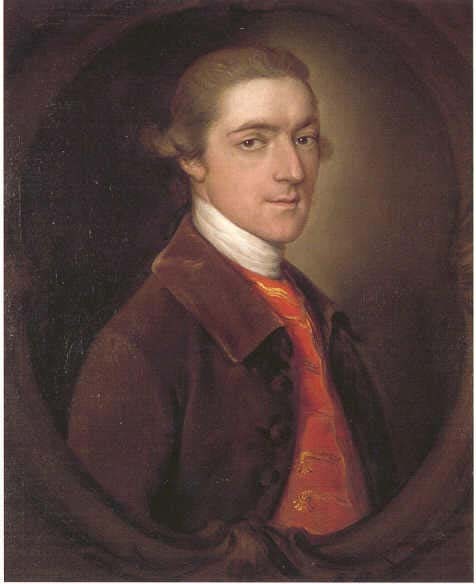 He was High Stewart of St Albans in 1772 and became Mayor of St. Albans in 1779. During these years, John also spent a fortune building Spencer’s House, a magnificent Palladian residence in London, which overlooked Green Park and was designed by John Vardy. In this mansion the family would entertain the most famous and influential people of the time. Writer and economist Arthur Young was one of the first to see the house: “I know not in England a more beautiful piece of architecture, superior to any house I have ever seen… The hangings, carpets, glasses, sofas, chairs, tables, slabs, everything, are not only astonishingly beautiful, but contain a vast variety.” The house has an elaborate classical façade and its Painted Room, John’s favourite room, was the first complete neoclassical interior in Europe. John would often travel to Europe, sometimes with his family too, and always brought back from every trip some work of art to decorate his house with. The Spencers would also spend some time in all of their residences every year but their favourite was Althorp, where John built an extensive library, and the children cold play in the vast ballroom during rainy days. Another passion of the Earl was hunting. John suffered from ill health all his life. Throughout the 1760s and the 1770s he had gout, pains in his chest and stomach, nervous palpitations and fevers. He thus went frequently to Bath to drink the waters and to Scarborough to bathe in the sea, hoping by these means to restore his health. However, they didn’t help much and on 3 October 1783, he died at Bath. He was only 48. He was buried in the family vault at St Mary’s Church, Great Brington, Northamptonshire.